Being confident is one of the most essential ingredients for a successful and happy life. Yet so many of us often lack the necessary confidence to do what we want or need to do, to say what we want or need to say. What does it take to overcome our fears, become confident and get the results we want? 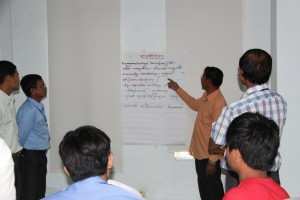 TPO Cambodia gets you on the way with our course “Boosting your Self-Confidence”. This course was designed with parents, school counselors, therapists, supervisors, managers, team leaders, social workers, nurses, other health professionals and staff in both private and public sectors in mind, but is suited to any individual who wants to develop a healthy self-confidence and enjoy the wealth of benefits that come with that, and to any organization that wants employees to feel confident.